When was the last time your gutters were cleaned? Have they started leaking and you have seen blockages? 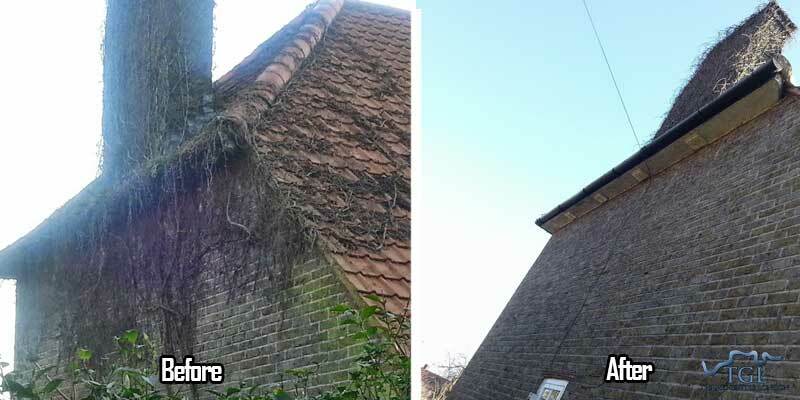 Thames Gutter Cleaning Service can offer you with the specialist services to repair and replace the necessary guttering to your home or commercial building. Thames Gutter Cleaning Services can provide a specialised and friendly gutter cleaning service in your local area, with our expertly trained team and specialist equipment. By having your gutters regularly check and clean by our knowledgeable team you can avoided costly water damage. Gutters should be checked annually, however, if you live near foliage or have moss covering your rooftop they should be checked two times a year. Furthermore, did you know that most home insurances do not cover water damage! Call Thames Gutter Cleaning services today for your free quote. We could also fix and repair any broken, cracked or damaged guttering with our gutter repair service, Thames Gutter Services London provide all our customers guarantees on work provided by our committed team. Gutter Replacement & Roof Repair. Marie Alvarado on Gutter Replacement & Roof Repair. David Mckeage on Gutter Replacement & Roof Repair. Symone Mills on Gutter Replacement & Roof Repair. Mary Ellen on Gutter Replacement & Roof Repair. Liza Turner on Gutter Replacement & Roof Repair.